Fundraising Authority Classes present the best strategies, tactics and training available for non-profit fundraisers, board members, volunteers and consultants, at a fraction of the cost of in-person fundraising seminars. Below are answers to some of the most common questions we receive about our classes. If you have other questions that aren’t answered below, please contact us. What are Fundraising Authority Classes? 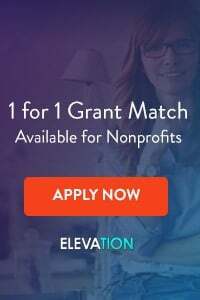 Here at The Fundraising Authority, we offer a variety of classes to help non-profit fundraisers and organizations raise more money than ever before. Classes run from 4-12 weeks, depending on the class, and can be taken completely online, without the need to attend any in-person sessions or incur any travel expenses. Our classes include a variety of written guides, audio podcasts, video webinars and bonus materials. All of our classes are “learn at your own pace” and there are no tests or homework. All of the materials are pre-recorded, and you don’t need to be in front of your computer at any set time. You have lifetime access to the class materials, so you can finish the modules at your own convenience. 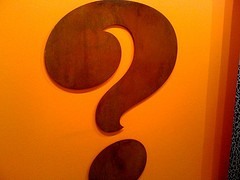 Who Should Take Fundraising Authority Classes? Are They Designed for Beginning or Advanced Fundraisers? Our fundraising classes are designed for anyone who is responsible for fundraising at a non-profit, including Executive Directors, Development Directors, development / fundraising staff, board members, consultants and volunteers. The strategies and tactics covered are applicable to non-profits of all sizes, from those that are just getting started to large, well-staffed organizations. 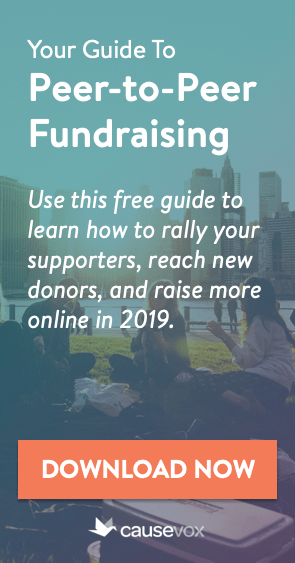 We design our courses to be applicable for both beginning and advanced fundraisers by including simple, step-by-step strategies as well as advanced tips, tricks and tactics. No matter your skill level, you’ll learn a lot from our classes, and they will directly impact your ability to raise dramatically more money for your non-profit. 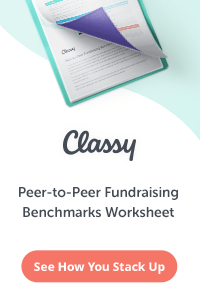 What is the Format of Fundraising Authority Classes? Fundraising Authority Classes are online courses that run for 4-12 weeks, depending on the class. When the class begins, you will receive a link to the password protected course page as well as a password that you can use to access the course materials. Every week you will receive a variety of class materials, which may include written guides, audio podcasts, video webinars and bonus materials that provide actionable strategies for that week’s topic. The class materials include complete instructions on how to download the materials. You can download the guides to read them on your own computer, Kindle, or tablet at your own pace, or print them out for future reference. The podcasts and webinars can be listened to or watched on your computer or downloaded onto an iPod, MP3 player, or smartphone. Everyone who registers for a Fundraising Authority Class also gets direct access to the course presenters. You can e-mail them with questions about what you are learning and how it applies at your organization, and they will respond within 48 hours with advice, suggestions and additional strategies. You may also schedule a short call with the course presenters for additional help at your convenience. What if I Miss a Class? Can I Go at My Own Pace? Absolutely! Fundraising Authority classes are designed so that you can go at your own pace. The classes are delivered once per week for the duration of the class, but you have lifetime access to the class pages. This means that if you have big projects at work or get delayed, you can finish the course at your own pace, and you’ll always have access to the complete course materials for reference. What Time Are Classes Offered? Do I Have to Be In Front of the Computer at a Set Time Each Week? All Fundraising Authority Classes are pre-recorded. This means that you never have to be in front of your computer at a set time. Our written guides, audio podcasts, video webinars and bonus materials are all pre-written and pre-recorded, and are all linked from your class page. This means that you can access them at your own convenience, whenever you are ready to learn. What if Several People at My Organization Want to Take the Class? Do We Each Have to Pay a Course Fee? No, you only need to pay once per organization. You may share the course materials with as many people at your organization as you would like. Many non-profits who have taken Fundraising Authority classes have found that the classes work well as a group project. Each class module includes action steps, and many organizations found that having individual team members review the guides and podcasts, and then meeting to discuss the materials and the action steps, led to very positive fundraising outcomes. If you would like to have multiple people from your organization take the class, just register once, and after registration you will be taken to a page that gives instructions for adding additional participants. Each participant will receive the materials via e-mail directly from our course presenter. Do I Have to be Part of an Organization to Take This Class? Can I Take it as an Individual? You do not need to officially be part of a non-profit organization to take the class. Individuals wishing to learn more about non-profit fundraising will benefit greatly from our courses and are welcome to participate. How Long Will a Course Take Me to Complete Each Week? While each Fundraising Authority Class varies, most courses take 60-90 minutes per week to complete. Remember that you can go at your own pace and that there are no tests or quizzes. This means that if you don’t have time to dedicate to the class one week, you can make it up the following week, month or year. Whatever works for you! What If I Have Questions about What I Am Learning? Every course participant has direct access to the course presenters. You can e-mail them with questions about what you are learning and how it applies at your organization, and they will respond within 48 hours with advice, suggestions and additional strategies. You may also schedule a short call with the course presenters for additional help at your convenience. Are Fundraising Authority Classes Only for Non-Profits in the United States or North America? No! The vast majority of the fundraising strategies we cover in our classes are universal. We have had satisfied class participants from all over the world, including the United States, Canada, Ireland, Australia, the United Kingdom, New Zealand, Spain, France and elsewhere. Great fundraising is great fundraising, no matter where you live. That being said, our class materials are currently offered in English only. We do not provide any translation services. Do You Offer Any Scholarships for Fundraising Authority Classes? Almost every participant in Fundraising Authority Courses is a non-profit organization or works for a non-profit organization. For this reason, we work hard to keep the registration fees for our courses as low as possible. Our goal is to make sure that every non-profit organization, no matter how small, can afford to participate in our classes. While the average full day fundraising seminar costs over $250 per person, your organization can participate in most Fundraising Authority Classes for $47-$97, no matter how many people participate. Because we are already keeping costs as low as possible, we can not offer any scholarships for class participation. Yes! We 100% unconditionally guarantee all of our classes. If you are unsatisfied with a class for any reason, we will refund your registration fee in full, no questions asked. That’s our guarantee to you… you will love our Fundraising Authority Classes, and they will make a huge difference for your non-profit! Please feel free to e-mail us here. We look forward to talking with you soon!